Being able to identify the type of pipe you have currently is crucial in the event that a repair or full replacement is needed. 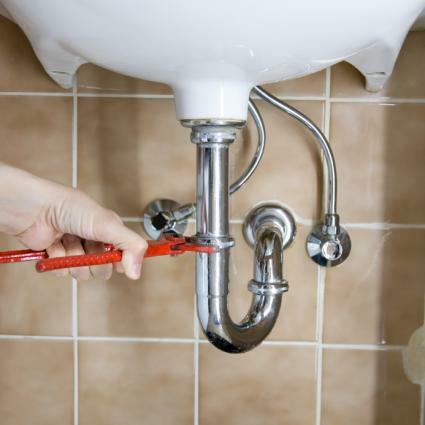 Some are fairly easy to fix when there is a leak, while others definitely require the help of a professional plumber. This has been the most commonly used type of pipe for many decades, known for its incredible adaptability and affordability. It is easy to cut it to length, glue the pieces together in any configuration necessary and make changes and repairs as needed. Only a professional plumber can install a house-wide PVC pipe system, but any motivated homeowner can learn to repair it. If installed correctly, it lasts for decades unless damaged by some outside force, such as freezing temperatures or being physically damaged by digging in the yard or other such disturbances. 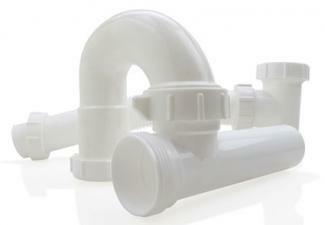 PVC is a rigid white pipe and is usually found in either 1/2-inch or 3/4-inch diameter sizes. Another type of PVC - which always has a beige color - is used to conduct hot water and will be found between the hot water heater and all the hot water taps in the house. Pex is a type of flexible tubing that began to be used in the United States in the 1980s. It has been used as a water supply line in many parts of the country, though it is particularly common in cold climates because its flexible nature allows it to expand without breaking if the water freezes, unlike rigid piping which bursts. 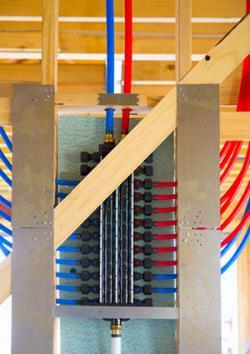 Pex is more expensive than PVC and is much more difficult to install and repair. Special tools are required, which the average homeowner does not have access to. Crimping devices are used to attach pex tubing to fittings and there have been widespread reports of leaking at these joints, causing expensive repair bills for unsuspecting homeowners. The tubing comes in a variety of colors and is typically smaller in diameter than PVC pipe. Often red and blue tubing is used for hot and cold water lines, respectively, though it can also be found in black and a translucent white color. At one time all homes used metal piping and some new homes are still built this way. If you have an older home with metal plumbing, it is only a matter of time before repairs are needed - and at some point the entire system will have to be replaced. Steel pipe is very long lasting, but has some major drawbacks. Eventually the interior of steel pipes rusts, which can lead to brown discolored water and rust stains on your porcelain. At first this occurs only when the water hasn't been used for several days - when you turn it on again, it runs brown at first. It gets worse and worse over time to the point where there is no choice but to have it replaced. 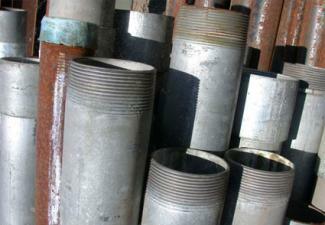 Steel is more expensive than either type of plastic piping and can be quite difficult to repair. Often, the fittings rust over, meaning the only choice is to cut out and remove leaky sections, work that only a licensed plumber is qualified to do. Steel piping is silver in color when new, though the exterior tarnishes and rusts quickly to some shade of dark grey or brown. The typical size for household plumbing varies from 1/2-inch to 1-inch in diameter. 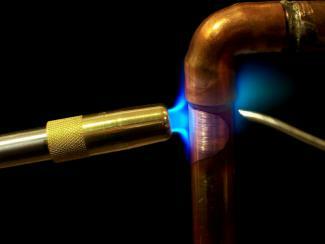 Copper is by far the most expensive piping option and the most difficult to repair. However, it is extremely long lasting and is still used in high quality homes. If cost is not an object, copper is the way to go. The thin reddish-brown piping has to be soldered together in the installation process, as well as to make any repairs - a job that only a professional plumber is qualified to do. Keeping an eye on your plumbing is good preventative maintenance that can help head off a big problem before it starts. Take a peek in your basement or crawl space and try to identify what type you have and check for any signs of leakage. Water damage from leaky pipes can cause a host of other major repairs, besides the cost - and inconvenience - of replacing the faulty plumbing.